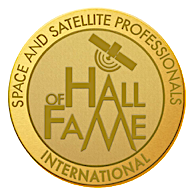 Three new members of the Space & Satellite Professionals International (SSPI) will be inducted into the Space & Satellite Hall of Fame on May 7. They will join the leaders who created, sustained and expanded the industry over the past 60 years, including Dr. Arthur C. Clarke, Dr. Harold Rosen, Rene Anselmo, Takuya Yoshida, David Thompson, Mary Cotton, Romain Bausch, Pradman Kaul, Sidney Topol, Gwynne Shotwell, John Celli, Giuliano Berretta, Mark Dankberg, James Monroe III, Peter Jackson and Jean-Yves Le Gall. The latest members of the Space & Satellite Hall of Fame will be inducted during the 2019 Hall of Fame Celebration ceremony on May 7, the opening night of the SATELLITE 2019 convention and exhibition. The celebration will take place at the Newseum, the Washington D.C. museum dedicated to the importance of the First Amendment and a free press. The inductees were selected by SSPI’s Board of Directors under the leadership of Chair David Myers, President of the Communications Sector, Peraton, and of President Thomas Van Den Driessche, CEO of Newtec. The Space & Satellite Hall of Fame recognizes the invaluable contributions of the visionaries who transform life on planet Earth for the better through space and satellite technology. Members of the Hall of Fame are recognized pioneers in communications, aerospace, scientific research, or the development and delivery of space and satellite applications for business, institutions and government. Greg Wyler is a technology entrepreneur, an engineer, and a pioneer who conceived and founded two companies, one that successfully commercialized MEO orbit and another aiming to do the same with LEO orbit. He made his first fortune in the technology boom around Boston and then founded Terracom to bring internet to Rwanda. After four years of frustration in trying to deploy fiber-to-the-home networks, Greg left Terracom and founded O3b Networks, in partnership with Liberty Global, in 2007 with the goal of unlocking MEO orbit to deliver internet to remote areas without the need for laying fiber. SES, Google, and HSBC became investors in O3b Networks in 2009, which eventually raised over $1.2bn, to launch its first four satellites, built by Thales Alenia Space, in June 2013 with 12 more launched by 2014. By 2016, O3b had a firm backlog of $350 million with more than $100 million in current-year revenue, and SES exercised its option to purchase the company, whose markets had grown to include maritime, mobility, energy and government based on the success of its MEO fleet architecture. After the success of his first company, Greg moved on to an even more ambitious venture: creating a network of hundreds of LEO satellites to deliver low-latency, high-speed internet to remote areas. 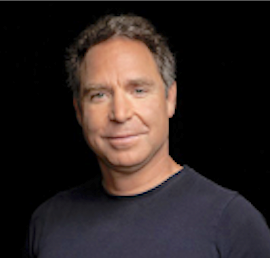 He founded OneWeb in 2012 with investment support from Softbank, Bharti, Hughes, Intelsat, Virgin Group, Qualcomm, Airbus, Grupo Salinas, Maxar, and Coca-Cola with the vision of connecting all the unconnected schools of the world and providing internet to fuel economic growth, improve education and social development, advance gender equality and make healthcare more accessible across the globe. To make its vision a reality, OneWeb needed to develop mass-production techniques and a global supply chain capable of assembling 15 satellites per week to launch a 1980-satellite constellation. OneWeb has raised more than $3.4bn to date and the company’s first launch was a success that has been a major milestone for the industry as a proof-of-concept for the viability of LEO constellations. Before Greg Wyler launched his companies, the satellite industry operated solely in GEO orbit, delivering far less capacity at higher prices than those available today. The success of O3b led competitors to invest in MEO constellations and improve their own offerings, and OneWeb’s initial victories are having the same impact today. Companies such as Telesat, LeoSat, SpaceX and Boeing are all conceiving and funding their own large-scale LEO communications constellations while watching OneWeb to see how it proves its business case going forward. 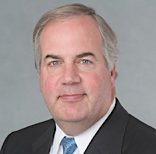 Matt Desch became CEO of Iridium Communications in 2006 after a twenty-five year career in the telecommunications industry that included serving as president of Nortel Networks’ wireless business and chief executive of Telcordia Technologies. Since taking the helm, he has led Iridium from the depths of post-bankruptcy uncertainty and looming irrelevancy into a major contributor to the space and satellite industry. Matt has also served as an advocate for safety and responsible traffic management throughout the space, satellite and aviation industries for over a decade. Three years after Matt joined Iridium, one of its spacecraft was hit by a defunct Russian satellite, Kosmos 2251. He turned a disaster into an opportunity to focus on responsibility and safety in navigation by pioneering a partnership with the U.S. Air Force on orbit/debris coordination and highlighting Iridium’s preparations to de-orbit their original spacecraft safely without posing threats to other orbital systems. Matt’s championing of Iridium’s preparations and the U.S. government recognition that space had become a congested environment, lead to eventual improvements in orbital safety and de-commissioning precautions throughout the industry. In the same year, he also successfully led Iridium through the complicated process of going public, listing the company on the NASDAQ. Throughout his time as CEO of Iridium, Matt has led the company through challenging transition after transition. Raising the necessary public financing, he guided the Iridium team through the replacement of their entire fleet of first-generation LEO spacecraft through a campaign known as Iridium® NEXT. Completion of this $3 billion dollar, 8-year campaign maintained the company’s unique position as the only communications network that covers the entire planet. The replacement campaign also included safely de-orbiting dozens of de-commissioned satellites based on the safety practices he had championed to the global community. The Iridium CertusSM service made possible by the new constellation provides high throughput L-band data through highly mobile, small form factor antennas, needed for unique applications in maritime, aviation, government and satellite-based IoT applications. Matt also established a successful model for commercially hosted payloads, with a crowning achievement being AireonSM, a new company and service that will be providing real-time 24x7 tracking of aircraft anywhere on Earth. As if these accomplishments were not enough, in mid-2018 Iridium, achieved a key strategic objective Matt identified several years ago, that ended a long-held monopoly in the maritime industry, by becoming a recognized provider of Global Maritime Distress and Safety System (GMDSS) services by the International Maritime Organisation. Today, Iridium has become a rare breed of company featuring both significant free cash flow and high growth. Henry Goldberg is a leading us regulatory lawyer who has been a key figure in shaping the modern commercial space industry through development of U.S. and international legal and regulatory frameworks. Over a more-than-fifty-year career that began at Covington & Burling in Washington D.C. in 1966, Henry has opened legal doors to numerous innovations in satellite and broadcasting throughout the world, carving out regulatory territory for new types of companies and their technologies to grow and flourish. 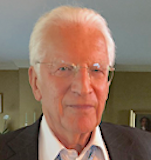 From 1968 to 1970, while at Covington, he participated in the FCC’s first domestic satellite proceeding and established the essential principle that users are eligible to own and operate Earth stations that communicate with carrier-owned satellite systems. Henry also filed the first application for a user-owned satellite Earth station on behalf of the affiliate associations of major TV broadcast networks. He moved to the White House Office of Telecommunications Policy shortly afterward in 1971, where he eventually succeeded Antonin Scalia as OTP’s General Counsel. While at the White House, Henry played a significant role in the implementation of the “open skies” satellite policy that spawned new satellite-delivered television networks, including HBO, C-SPAN and CNN. Henry left the White House in 1975 to return to private practice and eventually founded Goldberg & Spector in 1983, which is now Goldberg, Godles, Wiener & Wright. Since founding his own firm, he has worked with a number of major satellite and broadcasting companies on landmark regulatory cases. For Hughes Aircraft Company, Henry eliminated common carrier status for satellite service providers by creating a new, more flexible regulatory framework that laid the foundation for satellite “hot birds” carrying the most desirable video programming. He also worked with FCC staff on behalf of Equatorial Communications to create a regulatory environment for the development of the first network of small receive-only Earth stations with blanket licensing, which allowed the VSAT industry to take root and flourish. Henry represented PanAmSat in developing a private competitive alternative to Intelsat. The U.S. and later international regulatory initiatives that he developed with colleagues made a new industry of commercial satellite service providers possible. He also played a key role in the enactment of the ORBIT Act of 1999, which normalized Comsat and directed the privatization of Intelsat and Inmarsat. Henry helped C-SPAN acquire permission for non-profit networks to initiate nationwide service and provided legal and regulatory advice to the Public Broadcasting Service and National Public Radio in converting their networks to satellite distribution. He was the lead attorney for MSV/TerreStar in gaining permission for companies to use satellite frequencies for land-based wireless networks. Henry also secured satellite capacity on a variety of systems around the world for Turner Broadcasting, supporting the start of CNN International. His firm is currently working on carving out a regulatory niche for NGSO satellite constellations, including for Telesat, Iridium and Spaceflight.